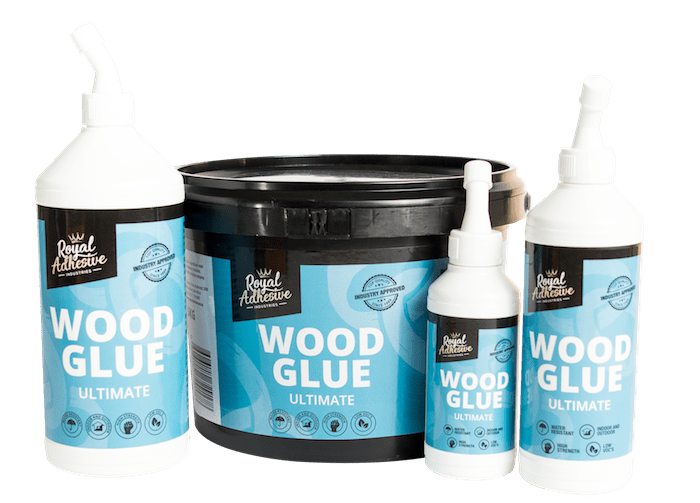 Royal’s Ultimate Wood Glue is our premium one component wood glue suitable for interior and exterior applications. It forms an ultra-strong, non-visible bond that can handle the toughest environments. Surfaces must be clean, dry and free from dust. Wood joints should fit tightly. Apply glue to one or both surfaces and clamp for at least 2 hours for softwood (i.e pine) and up to 8 hours for hardwoods – meranti, imbuia etc. Wipe clean with a damp cloth. Coverage is approximately 250g per ㎡. Open time is approximately 10 minutes. Clamping time is dependent on the weather conditions. NOTE: In cold weather, hardwoods should be lightly sanded before applying adhesive. Apply adhesive to both surfaces to increase working time and the clamping time should be increased in the cold weather. Royal’s Ultimate is not suitable for damp wood, or where the moisture content exceeds 10%. Store in a cool, dry, and well-ventilated place.